I've had all of these rings for a while now and realised a few days ago that I've completely forgotten to blog about any of them, which is strange as I wear them regularly. Although sometimes I think it's a case of the things you use/wear the most you don't think to blog about, or at least it is for me anyway. If you've been reading my blog for a while I'm sure you're aware I'm a bit of a fan of Dixi's rings, so here are a few of my newest additions. My Dixi ring pictures are actually some of my most 'like'd on Instagram, in fact one holds my 'most liked' record (top right) out of all my pictures on Instagram, so I thought I might as well just make a collage of Instagram pictures. I'd had my eye on the Show me the way arrow wrap midi ring (£12) for so long, so when they ran an offer reducing it to £9 I took it as a sign and grabbed it. It's currently out of stock but you can pop your email address into the box that pops up on the item page to be notified if/when it does come back into stock. This one is rhodium plated copper (nickel and lead free) so although it does look like silver it's not quite as shiny and silver as real silver is. Due to the design of this one it can be adjusted slightly if required. I'd also had my eye on the Moon child ring (£16) for a long time and again I think I got this on offer. This one is also currently out of stock but again you can pop your email address in to receive a notification of new stock. This one is also rhodium plated copper and is available in several different sizes and can also be worn as a midi ring if you choose a smaller size. The Boheme mini elephant ring (£25) is one of Dixi's newest releases and it is currently in stock (yay!). Dixi released three new rings together, this one, a bulls head ring (sold out!) and a guiding spirit arrowhead ring and to celebrate they offered 20% off, so yep I got this one on offer too! I fell in love with this one as soon as I saw it so had to take advantage of the discount that was only valid for the night that they launched. This one really is a beautiful ring and is actually sterling silver and I adore it. Dixi have just launched a new range called Supernova with over 100 new products, so if you like the look of these rings get yourself over to the Dixi website and have a little look. Are you a fan of wearing rings? 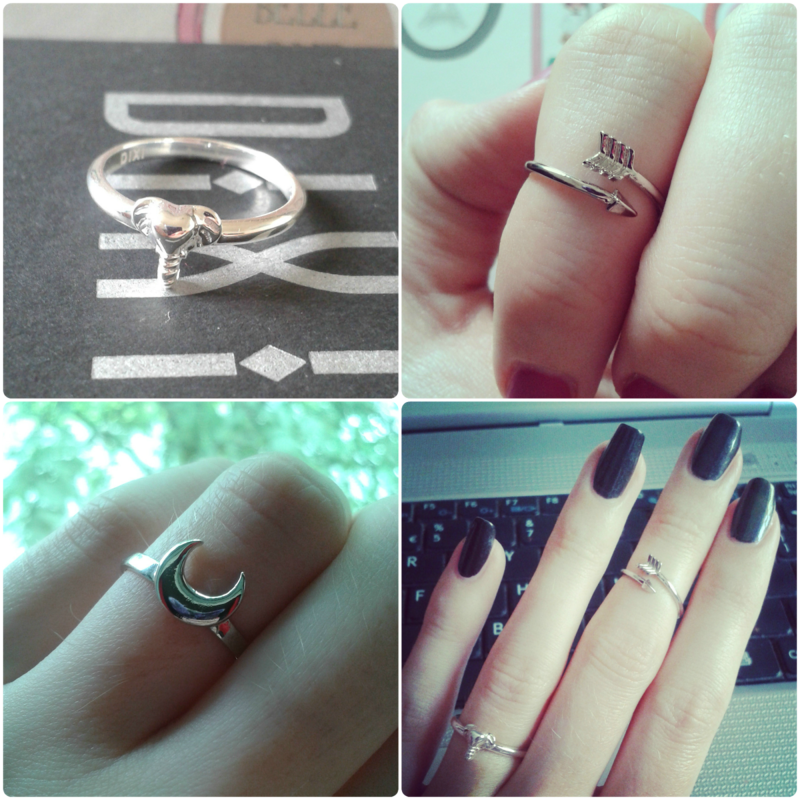 I've fallen in love with that arrow midi ring.. so pretty and delicate! Heheh, my name is Becky too ;) I really like the elephant ring, I've never seen one like that before!